In a multidisciplinary field such as energy, Hydrogen and Fuel Cells stands out by covering the entire width of hydrogen production and usage technologies, giving detailed descriptions of not just one but the range of very different fuel cells that have been developed or are under development. 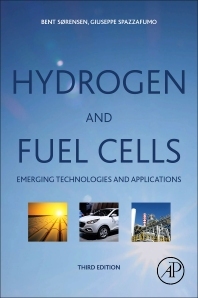 In one volume, respected experts Bent Sorensen and Giuseppe Spazzafumo provide all the basic scientific theory underlying hydrogen and fuel cell technologies, but at the same time present applications and sustainable integration into society in a way accessible to a broad range of people working in this field, whether in technical, economic or management roles. The third edition reflects both recently emerged technologies and the market penetration of the most promising technologies, and it gives an appraisal of how far fuel cell technology may go in the future, considering current challenges and economic trends. This new edition has updated and expanded content on hydrogen storage and transmission, molten carbonate fuel cells, PEM fuel cells, solid oxide fuel cells, biofuel cells, including microbial fuel cells, applications in transportation and power plants, future scenarios and life-cycle assessment. It is ideal for researchers and professionals in the field of energy, and renewable energy in particular, both in academia and industry. It is also useful to lecturers and graduate students in engineering, physics, and environmental sciences, as well as professionals involved in energy or environmental regulation and policy. 7.4 How much time do we have? Professor Emeritus at the Department of People and Technology, and a professor of physics at the Institute of Mathematics and Physics, both at Roskilde University, Denmark. He is also an independent consultant at Novator Advanced Technology Consulting. Bent Sørensen’s research is cross-disciplinary and has resulted in nearly a thousand scientific articles and some 40 books, including foundation work in economic theory (the scenario method, life-cycle analysis) and in energy research (renewable energy resources, technology and applications). Dr. Sørensen is one of the world’s leading specialists in renewable energy. 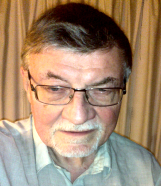 He has five decades of experience in researching the field, and has published hundreds of monographs, articles in scientific journals, technical reports, and conference contributions. He has received several awards and has been knighted by Her Majesty Queen Margrethe of Denmark. He has worked at universities in Japan, France, Denmark, Australia and the United States (Berkeley and Yale), has been a consultant to governments and international organizations, a lead author in the IPCC climate assessment recipient of several international prizes and honors. Giuseppe Spazzafumo is an Associate Professor at Department of Civil and Mechanical Engineering at University of Cassino, Italy. He obtained a degree in Mechanical Engineering and a PhD in Energy Systems at University of Pisa. His main research field is Hydrogen Energy Systems. He has founded the Italian Hydrogen Forum and is the current President of such an association. He is member of IAHE (International Association for Hydrogen Energy) Board of Directors since 1999 and coordinator of HYPOTHESIS (HYdrogen POwer THeoretical and Engineering Solution International Symposium) series.